iAlert is a new app from a new Zealand development group. 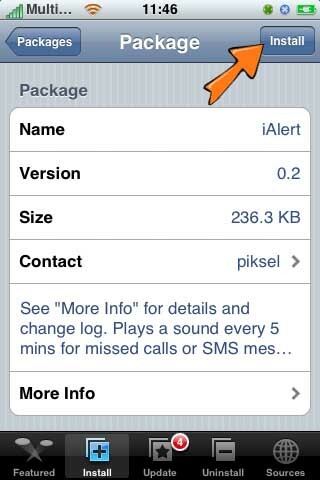 The app is doing something that the iPhone should standard have, it plays a mp3 every 5 minutes for any missed call or sms. 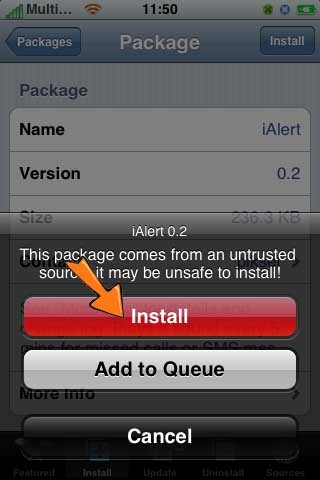 It’s currently on version 0.2 and it has some bugs. 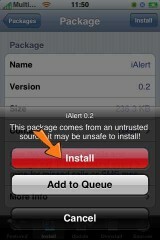 – It only works on firmware 1.1.3 and 1.1.4. 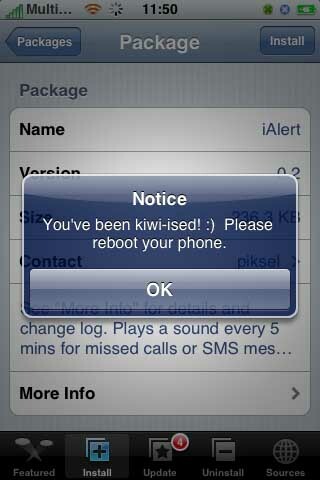 – When you’re iPhone goes in sleep mode, the alert doesn’t sound. 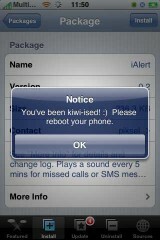 The app looks promising, but as for now you can’t do very much with it if you’re phone is going into sleep mode. 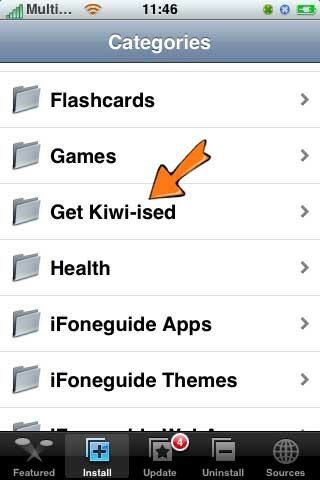 1) You can find the app in the Get Kiwi-ised category of your installer. 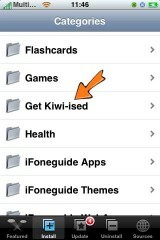 How you can upload files on your iPhone is documented here and here. 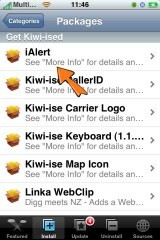 This little app is available in the Installer.app through the Get Kiwi-ised packaging source, see our sources page.